If you had invested र 10 Lacs in Birla Sun Life Frontline Equity Fund – Regular plan –Growth, during the NFO (launch date August 30, 2002) and started withdrawing र 8,000 per month after one year then the current value of your investment would have been र 1.25 Crores even after withdrawing र12.32 Lacs through 154 SWP instalments of र 8,000 each (Based on June 14, 2016 NAV). To come to the above conclusion we have presumed that the lumpsum investment of र 10.00 was made on the Scheme inception date i.e. August 30, 2002. We have also presumed that the monthly Systematic withdrawal of र 8,000 was started after one year on the 1st of every month so that each and every SWP withdrawal amount becomes tax free (start date September 01, 2003). Please look at the chart below to understand how we have selected the different options in the SWP Research Tool to get the results. You can also explore our SWP Return Calculator to explore SWP returns of any fund of your choice. From the above chart you can see that the investor would have withdrawn a total of र 12.32 Lacs through 154 equal monthly SWP instalments of र 8,000 each, thus, he would have got a tax free return of 9.6% every year. Even after withdrawing a tax free amount of र 12.32 Lacs, the current value of his investment is an amazing र 1.25 Crores! The initial investment of र 10.00 Lacs was totally withdrawn through SWP of र 8,000 per month through 125 instalments. When the principal was totally withdrawn through the last instalment on 1st January 2014, the fund value was र 84.09 Lacs! Thereafter, the investor further withdrew 29 instalments of र 8,000 each. The last being on 1st June 2016 and thereafter the Fund Value is 1.25 Crores (Based on June 14, 2016 NAV). The interesting point is that when the market hit its life time high during March 2015, Birla Sun Life Frontline Equity Fund – Regular plan – Growth NAV on the SWP date of 02/03/2015 was र 171.05 and the total value was at र 1.31 Crores which is approximately र 5.89 Lacs more than the current value. Please note that the investor withdrew another15 instalments from the highest value point of 02/03/2015 to till today’s value. We have analysed similar samples with other Large Cap funds and found that SWP returns of Birla Sun Life Frontline Equity Fund – Regular plan – Growth was one of the best amongst its peers. Birla Sun Life Frontline Equity Fund is the second biggest large Cap fund in Indian Mutual Fund industry with an asset size of र 11,847 Crores (as on May 31, 2016). The biggest large cap fund is HDFC Top 200 Fund. The fund is being managed since November 2005, by one of the best known fund managers in the Industry, Mr. Mahesh Patil. Mr. Patil is also the Co-Chief Investment Officer of Birla Sun Life Asset Management Company, India’s 4th largest Asset Management Company. Birla Sun Life Frontline Equity Fund is one of the most consistently performing equity mutual funds in the Large Cap Category and is rated 5 Star by Valueresearch. CRISIL has given it a Fund Rank 2. This is an excellent fund to own if you are looking at diversification across sectors amongst large cap companies. The fund does not try to time the market and always remains fully invested while maintaining 85 per cent allocation to large cap companies. The 3, 5 and 10 years annualised returns of the fund is quite impressive at 19.51%, 14.21% and 16.69% respectively (Based on June 14, 2016 NAV). Birla Sun Life Frontline Equity Fund has given excellent lumpsum returns. The current value of investment of र 10 Lacs made on the launch date (August 30, 2002), would be र 1.65 Crores, a CAGR growth of 22.53% since inception (Based on June 14, 2016 NAV). Further, if you see the chart below, you will notice that Birla Sun Life Frontline Equity Fund has also beaten the CNX NIFTY and S&P BSE 200 Index with a huge margin. You may also like to check the TOP PERFOMING SIP FUNDS of any category from here. In a Systematic Withdrawal Plan (SWP), you regularly withdraw a fixed amount of money on a fixed date or dates from a fund. The amount to be withdrawn and the frequency of withdrawal/s are decided by the investor. You can withdraw a fixed amount weekly, fortnightly, monthly, quarterly or annually from your investment. SWP withdrawals from an equity fund, after one year from the date of investment, is totally tax free as it is treated as a long term capital gains. It is an ideal investment option for investors with lumpsum investible surplus and looking for regular income from their investments and at the same time want to see their investments grow in value. 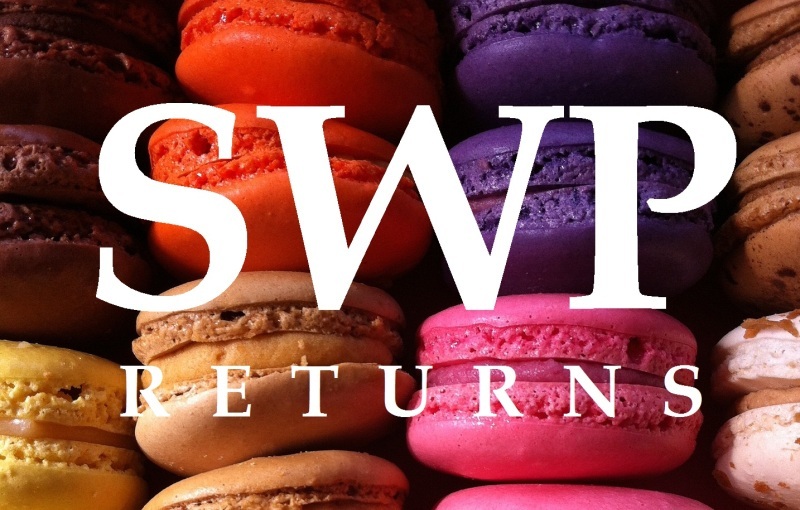 Try our SWP RETURN CALCULATOR to know SWP returns of your favourite funds.